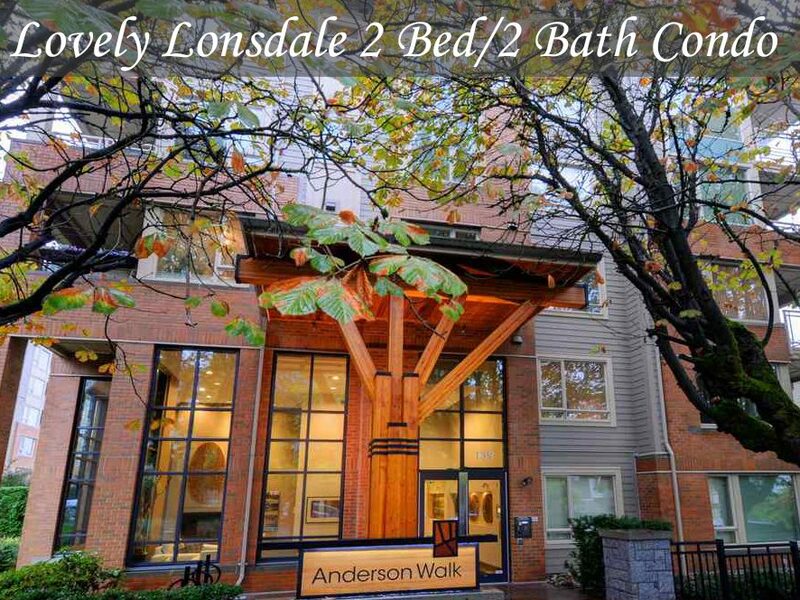 Lovely Lonsdale 2 Bed/2 Bath! Award winning Anderson Walk by Polygon. Exceptional value in this 2 BR 2 BATH 850 SF West facing suite. Some of the many feature includes 9′ ceilings, radiant in-floor heating, gourmet kitchen with S/S appliances, gas range, granite counters, F/P and a large west facing deck overlooking the courtyard. Enjoy spectacular amenities: fitness studio, guest suite, social room, courtyard & balance of 2-5-10 warranty. Situated on a quiet tree-lined street within walking distance to all amenities Central Lonsdale has to offer.. 1 secured parking and storage locker included plus pets/rentals allowed.